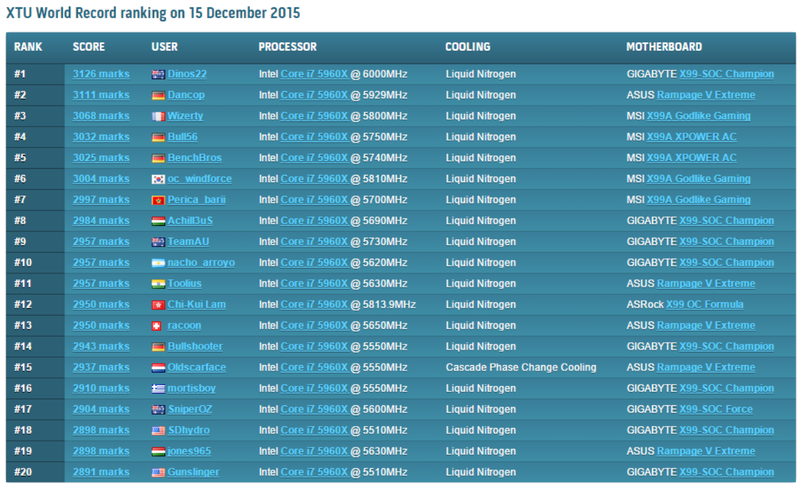 GIGABYTE Tech Daily: TeamAU and GIGABYTE Break World Records! A group of motherboard enthusiasts working for GIGABYTE, sharing their insider knowledge and general ramblings of the motherboard business, the tech industry, latest technologies and trends, and other random odds and ends. TeamAU and GIGABYTE Break World Records! 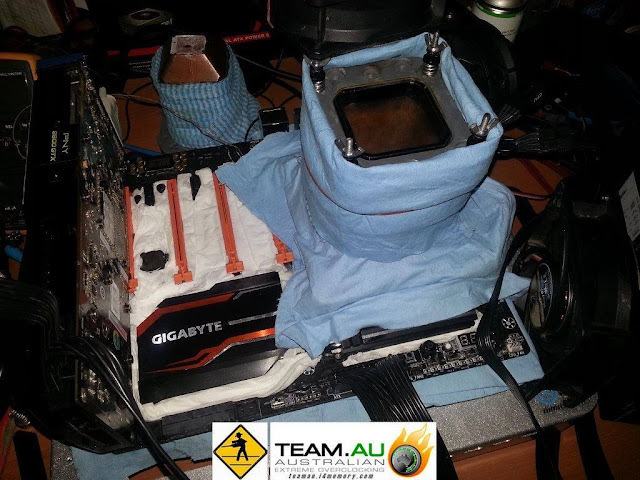 GIGABYTE overclockers Dino (dinos22) Strkljevic, Sofos1990, and HiCookie were busy last week in Australia pushing CPUs and GIGABYTE motherboards to their absolute limit. Dinos22, who also is GIGABYTE's Australia marketing manager, is currently the top overclocker on Intel's XTU (more information on the XTU app here) leaderboards after pushing an Intel i7-5960X to 6GHz on LN2 cooling, a 16GB DDR4 RAM kit with timings of 12-14-15-15 all on a GIGABYTE X99-SOC Champion motherboard. You can check out more information on HWBOT.